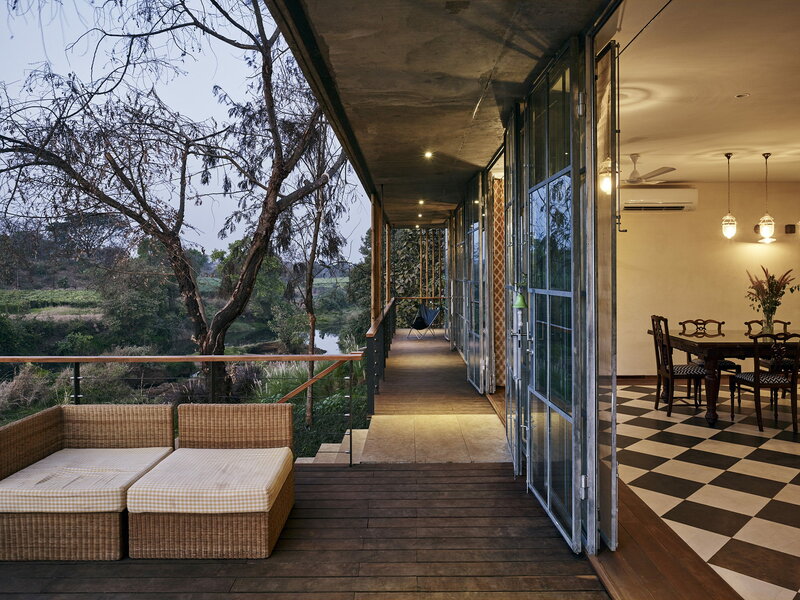 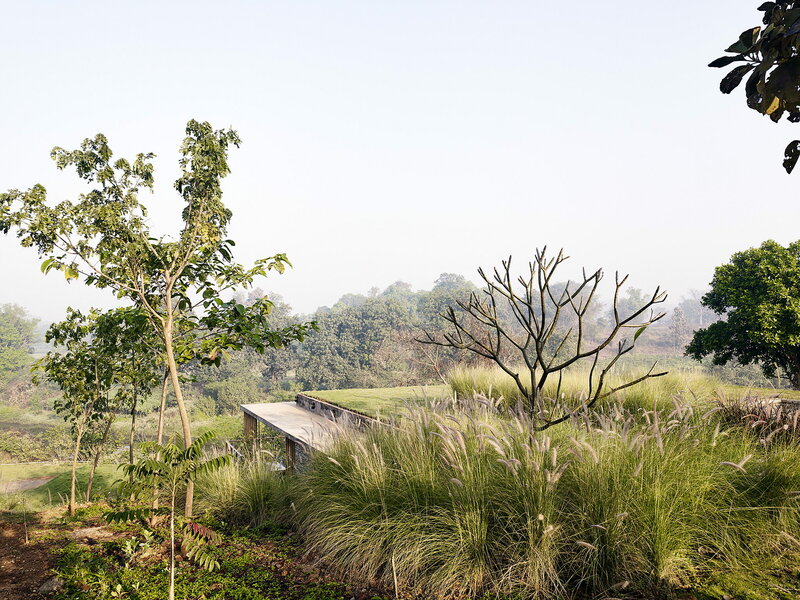 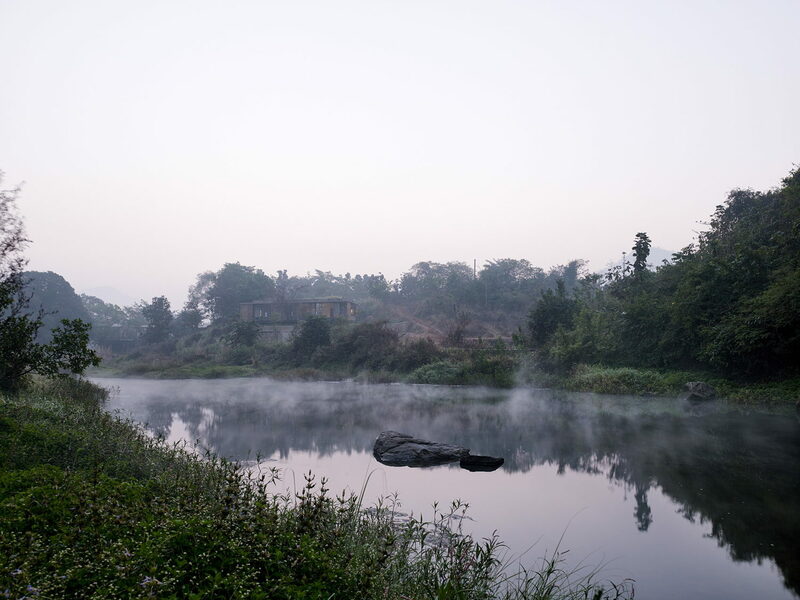 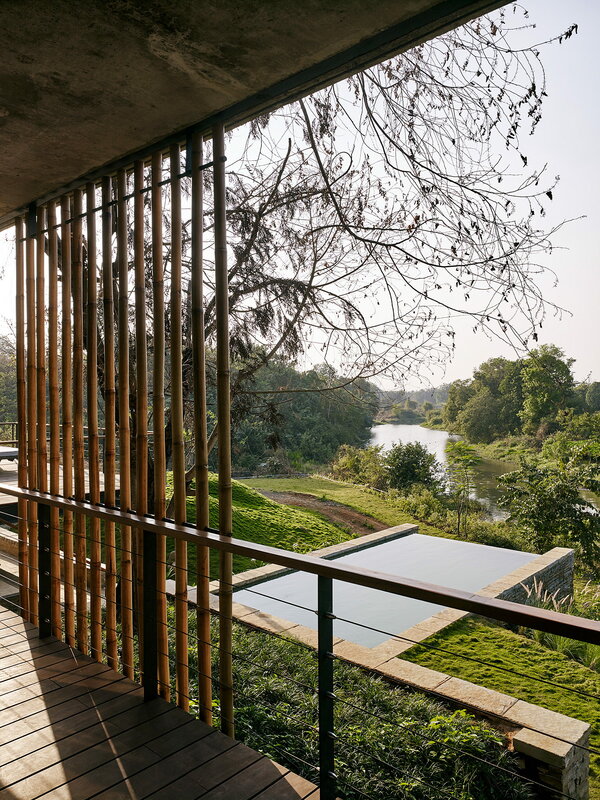 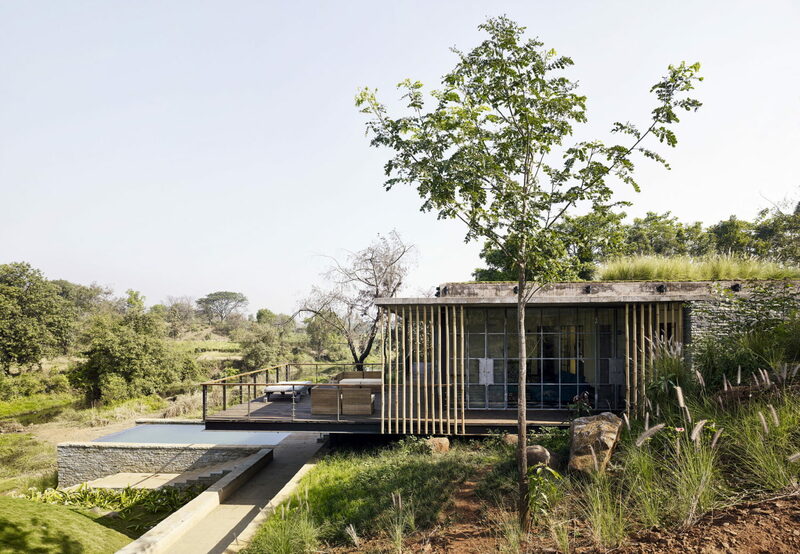 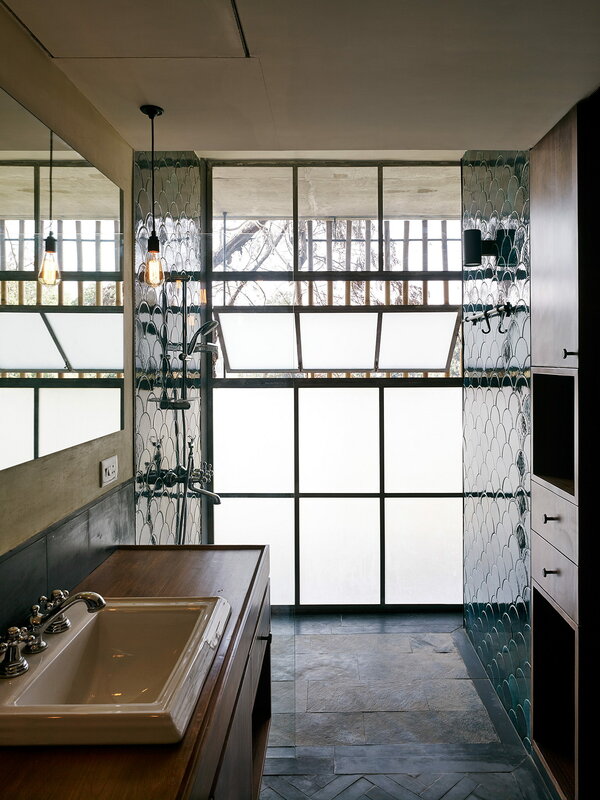 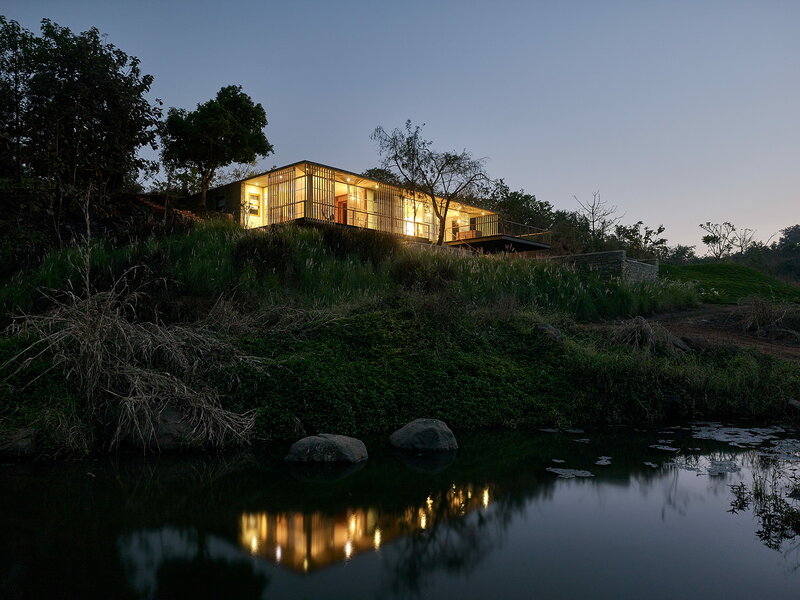 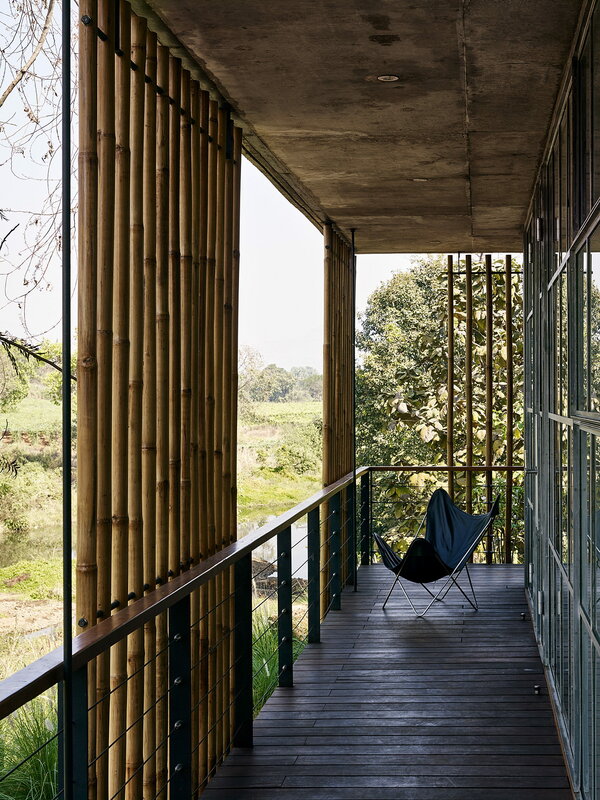 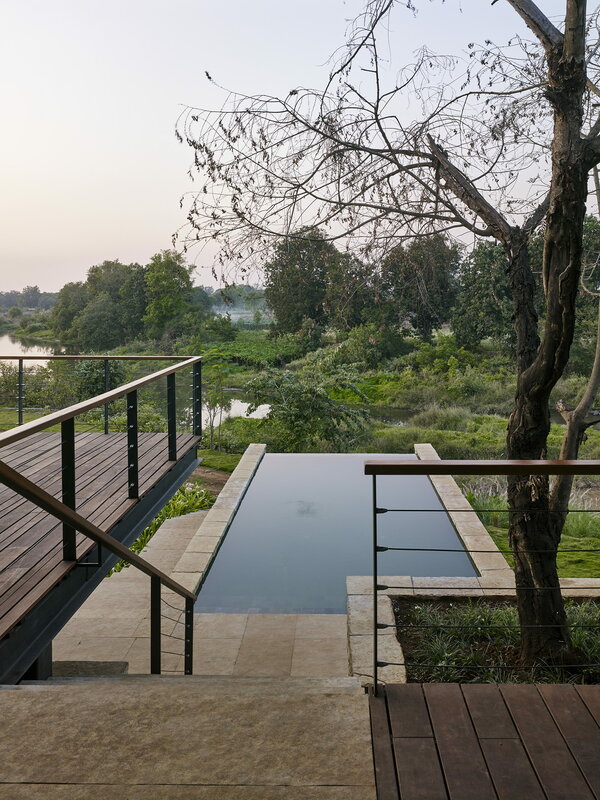 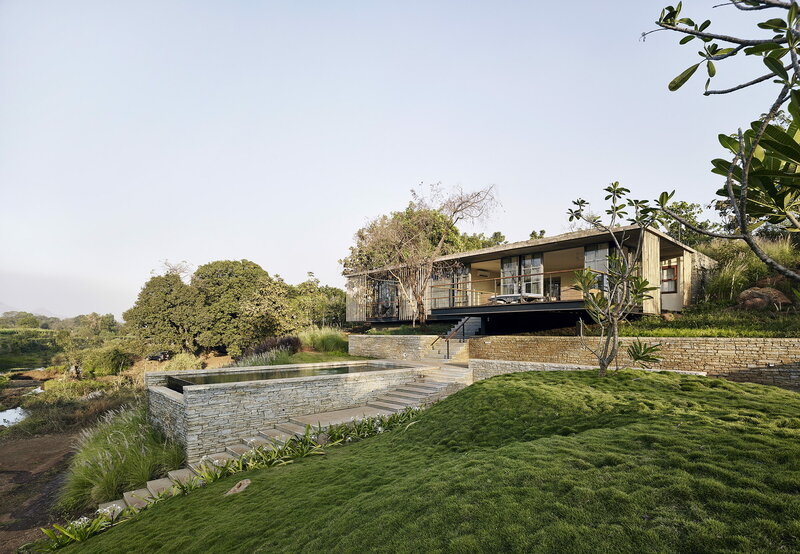 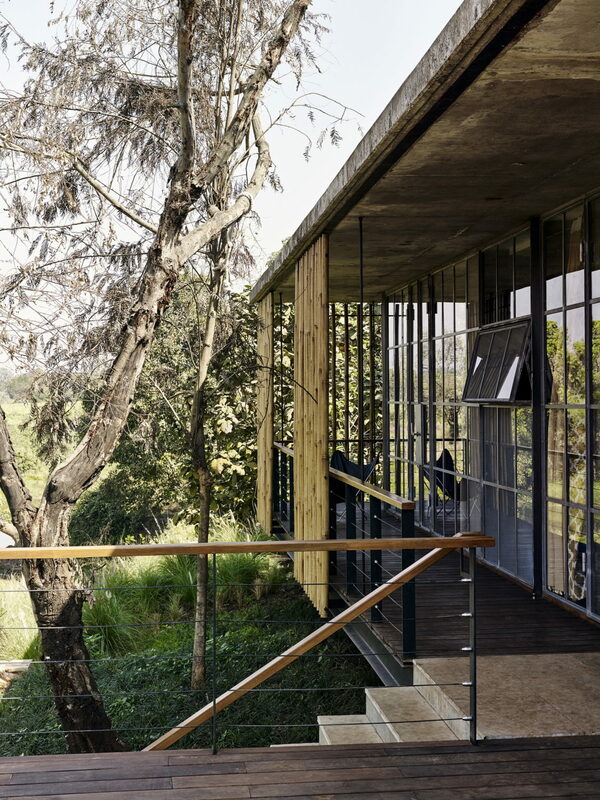 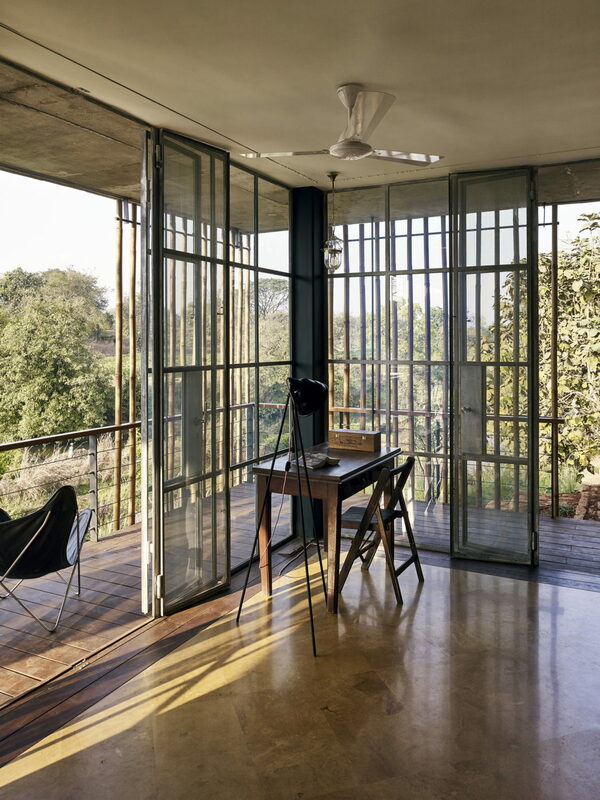 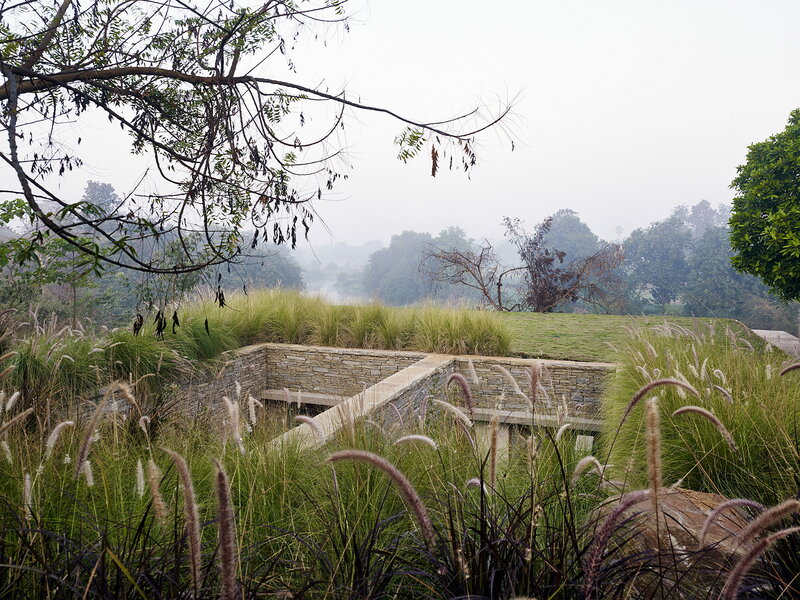 Set below the crest of a hillock at the foothills of the Ghats near Mumbai, Karjat, India, the Riparian House was designed by Architecture BRIO in 2015. 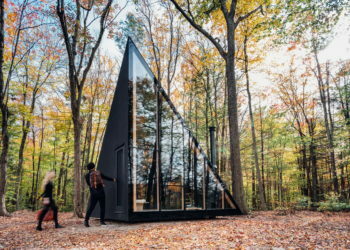 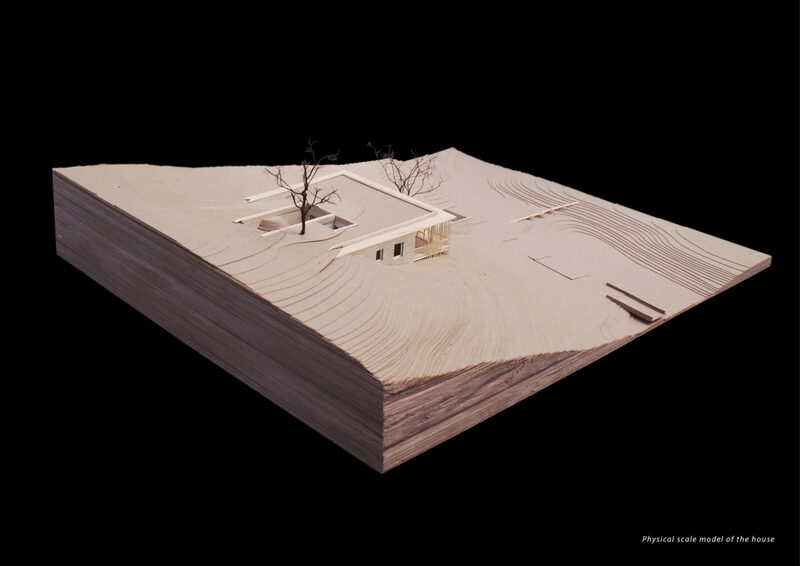 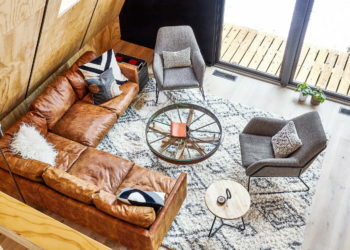 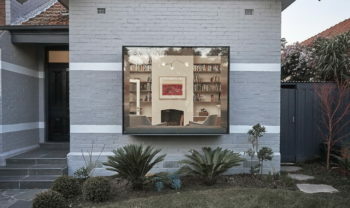 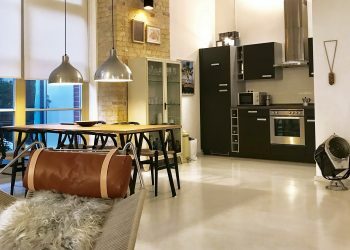 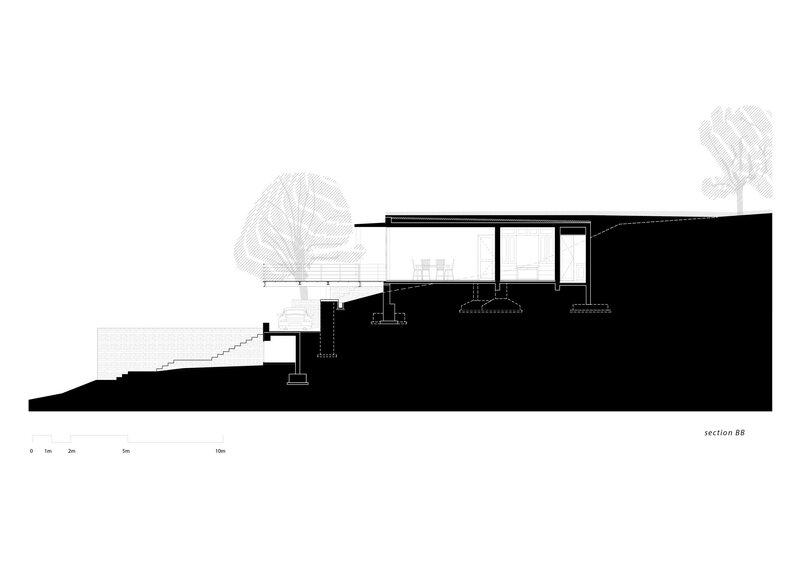 The total area of the house is 330m² (3552ft²). 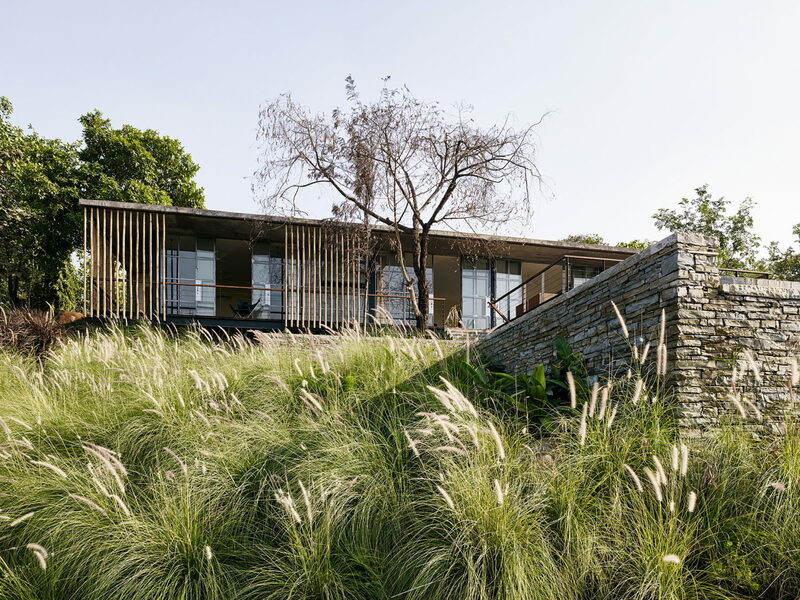 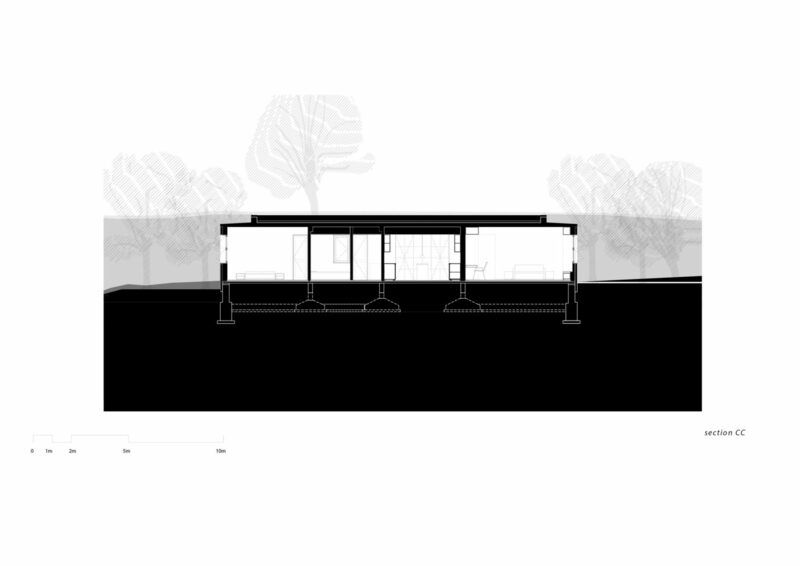 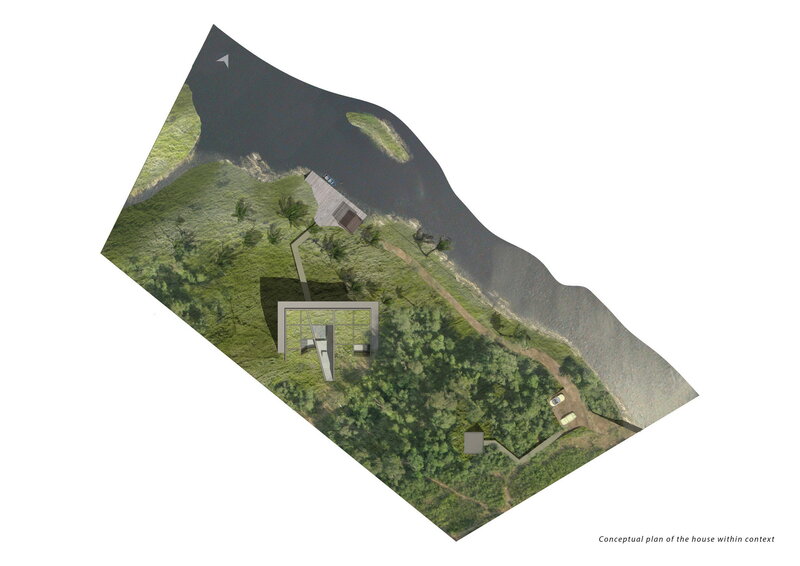 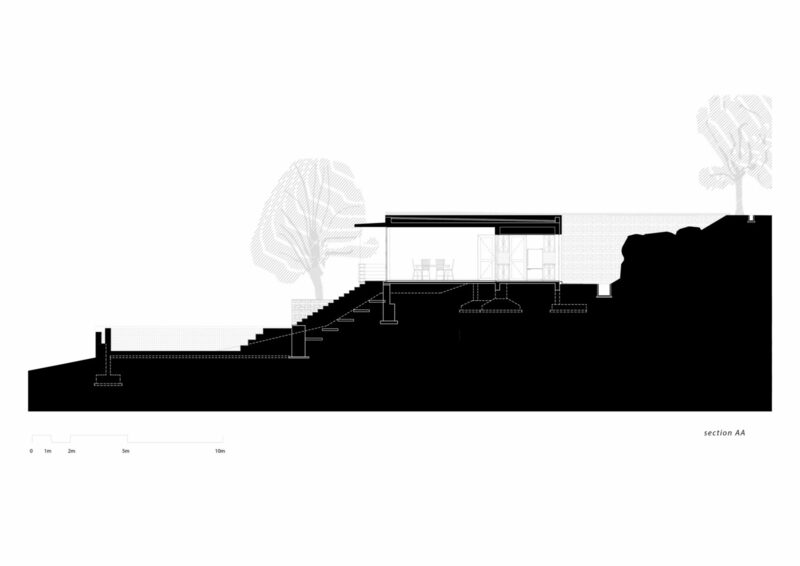 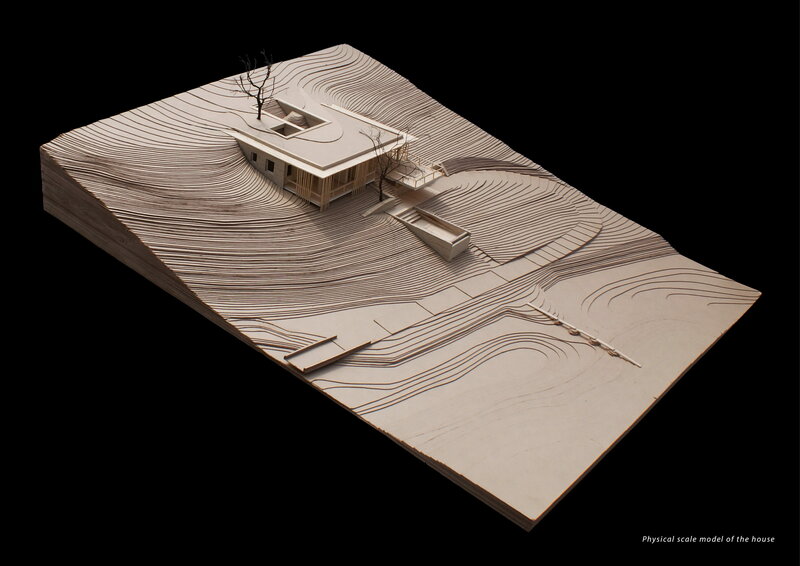 The top of a vegetated roof merges with the top of the hillock, hiding the house from the approach on the east side. 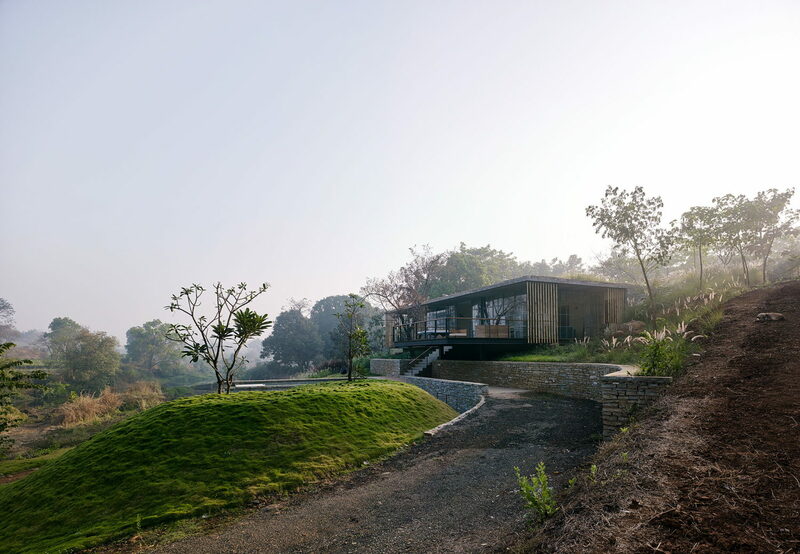 Inside the house one can nevertheless enjoy the views to the north of the Irshalgad hill fortress and towards the west the sunset while the river winds its way across the agricultural fields. 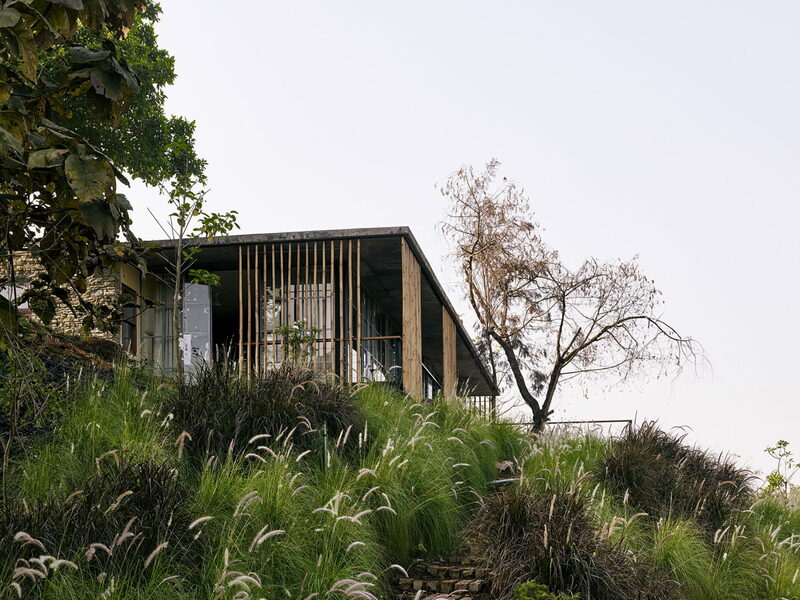 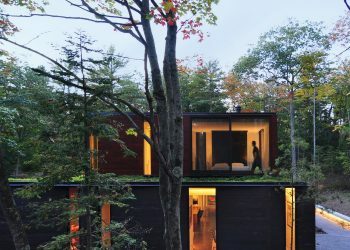 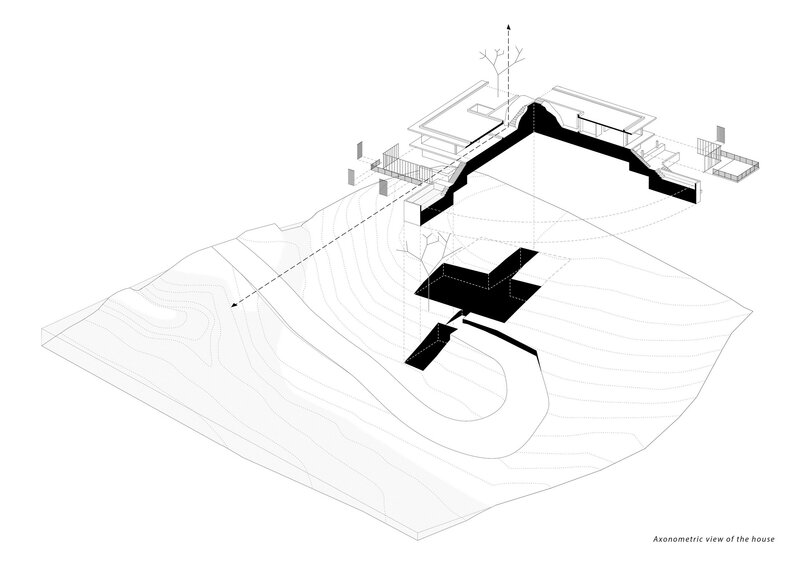 Since the most of the site is steeply sloping with a 1:4 gradient, the vegetated roof gives the house an additional usable area. 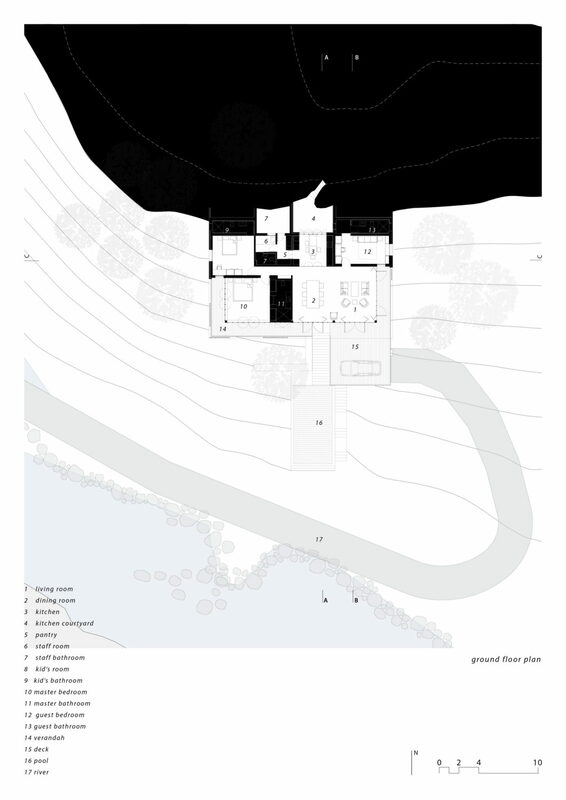 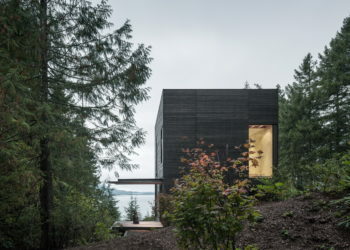 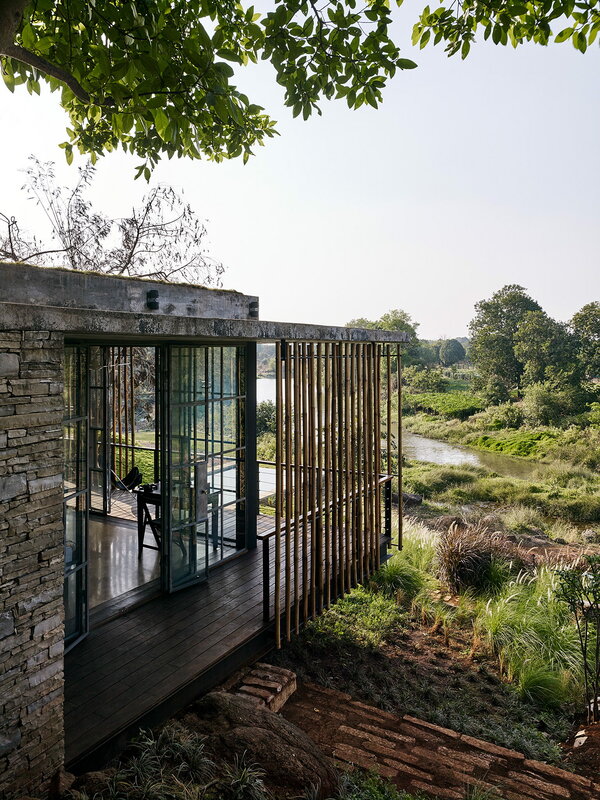 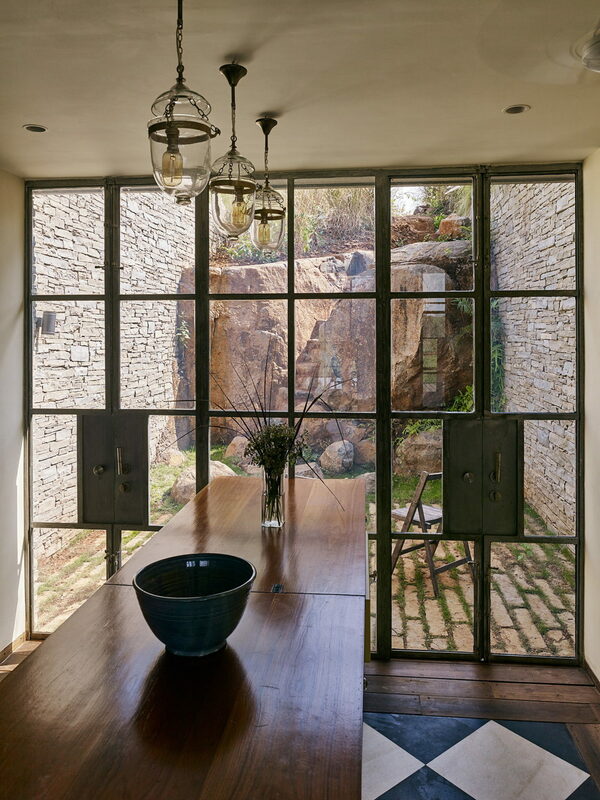 From the top it seems to be an extension of the natural landscape, enhancing the under-statedness of the house. 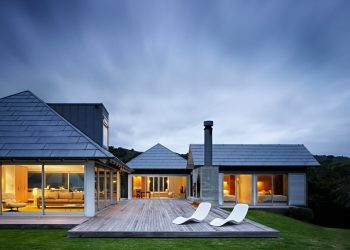 The green cover serves to keep the house below cool due to its insulative properties. 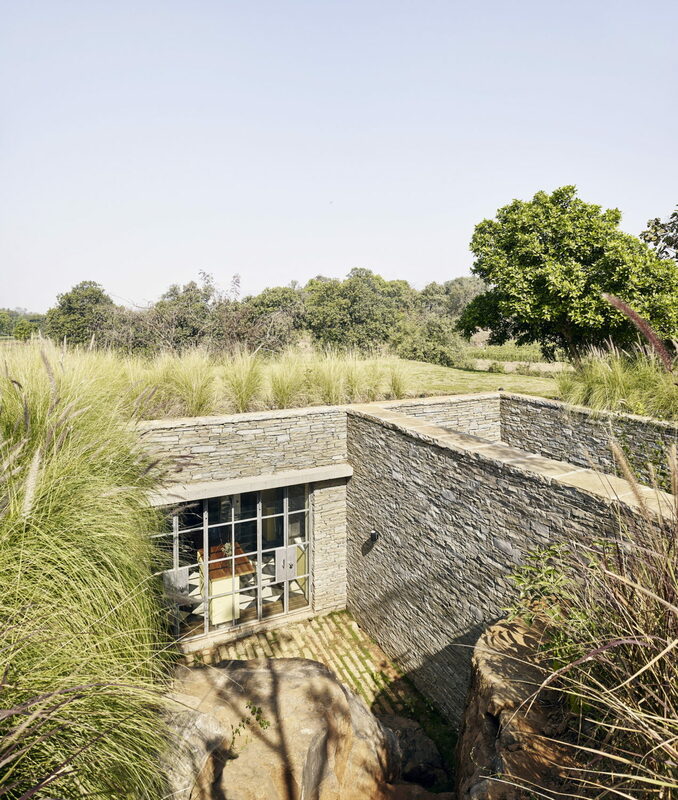 Along the central axis of the house landscaped steps lead you along a coarsed stone wall towards the pool deck. 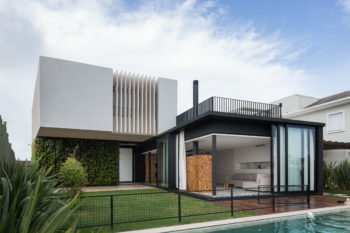 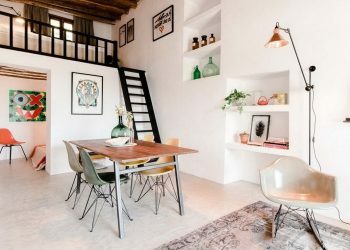 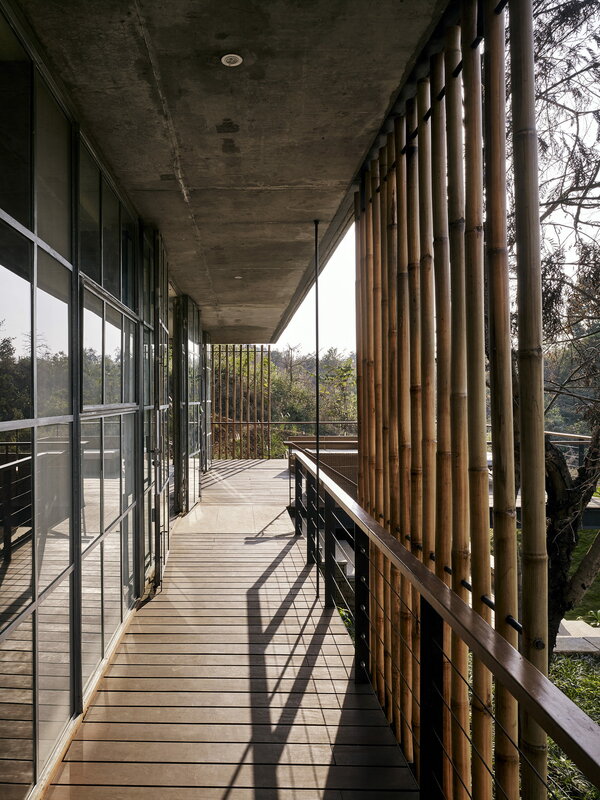 A second set of steps connects to the main level of the house where the axis culminates via the dining room and kitchen into a light filled courtyard. 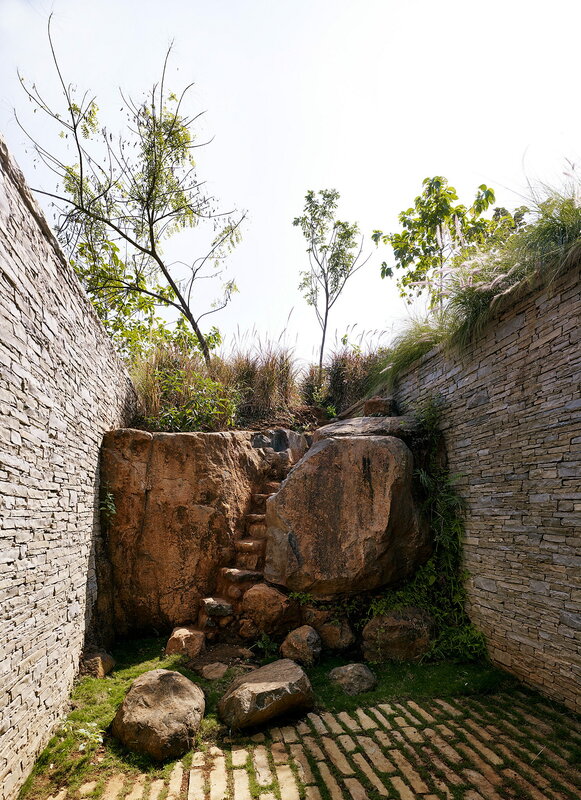 The experience of being inside the earth is enhanced through the stone boulders which were discovered during the excavation process and retain the earth.